Looking for Amish furniture Ohio residents love means one thing – finding the Amish Originals name. For 20 years now we have been working closely with the residents of Northeast Ohio to help them with their home furnishing needs. That also means that for two decades we have been working closely with the Amish community to get to where we are, which is working with more than 70 families to access this level of fine craftsmanship. Why are we the name shoppers trust when it comes to the Amish furniture Ohio looks for? We offer the best quality available when it comes to furniture. Each piece is built by hand, custom made to order and of the finest in quality American hardwoods around. There’s more than enough selection to choose from to cover your home inside and out. Whether you need a single occasional table, kids furniture, pieces for your office or even outdoor seating, we have what you need in a style you will love. Our staff is made up of friendly and knowledgeable crew members who share the same enthusiasm for Amish furniture and customer service the business was founded on. You can rest assured you will get personalized assistance, answers to your questions and anything else you may need from our team of experts. We offer all of this and are still able to offer the best and most competitive prices around. Imagine being able to do all of your home furnishing shopping in one location while getting the best value for your money. If you haven’t already come to find out why we are the choice Amish furniture store Columbus Ohio residents and visitors come to, it’s time to understand what else we have to offer. Delivery – The fee for delivery of your handcrafted furniture is nominal, and will also save you the backache. Within a 20 mile radius you only pay $49, but we can easily accommodate those out of range for a little bit more. It’s still probably less than paying for your own gas money. Shipping – Beautiful Westerville, Ohio gets plenty of visitors and for good reason. Whether shopping at our stores or online it is good to know we also offer shipping. Believe it or not we can even ship internationally. 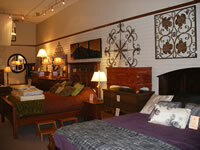 When you find what you want for the best Amish home furnishings, don’t let your location stop you from getting the best. Payments – All orders are custom built, unless you find a piece already available or on clearance. For special orders all we require is 25% deposit to get your pieces built. Choose from the type of wood and finish you want, and then leave the rest to us and the craftsmen. The great thing is thatyou know your furniture truly is one of a kind. All it takes is a deposit or payment of cash, check or credit card and your pieces will be ordered for you.